The Magician communicates, directs, and initiates. He’s quick, inventive and inspirational. His speed of thought and unique perspective makes up for lack of consistency. Overly structured paradigms only dampen his creative brilliance. The Magician relishes freedom, sunlight and the opportunity to start something fresh. He works outside and likes to have as many tools at his disposal as possible. 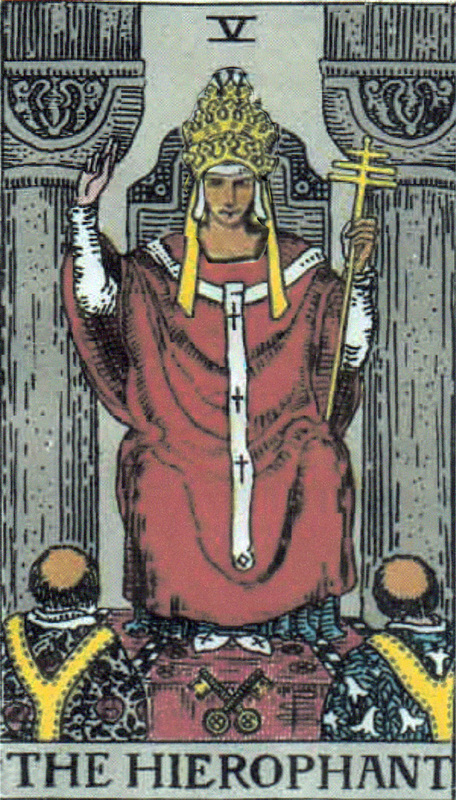 The Hierophant also communicates, directs and initiates. But he does it from a place of structured morality, a throne and a church. He likes to be in charge, and sees his role as conductor of the faith. Consistency and tradition are essentials. 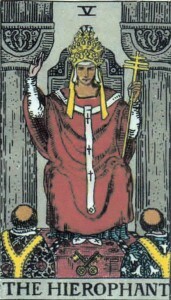 Unless it comes from the Hierophant himself, anything new should be questioned. Anything outside the box should be brought in.